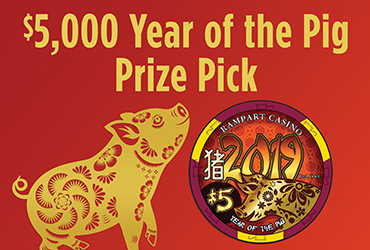 Celebrate Chinese New Year and the Year of the Pig at Rampart Casino with our $5,000 Year of the Pig Prize Pick! 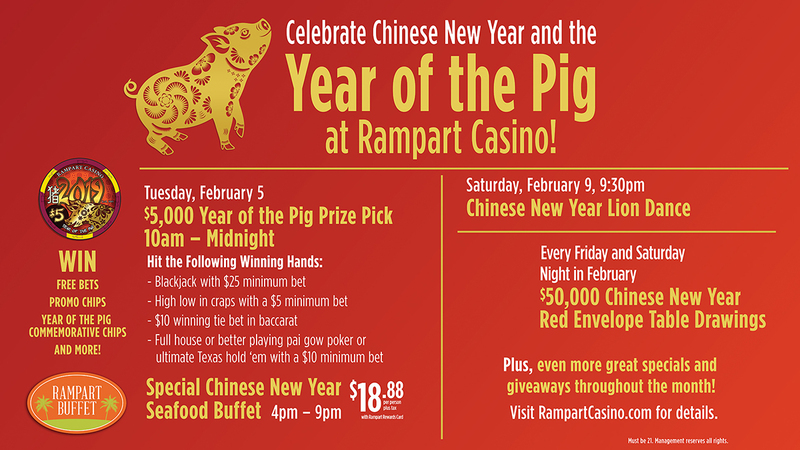 February 5, 2019, from 10 am-midnight, win free bets, promo chips, “Year of the Pig” Commemorative Chips and more! Then swipe at the kiosk for a voucher that will be redeemed at the casino cashier.